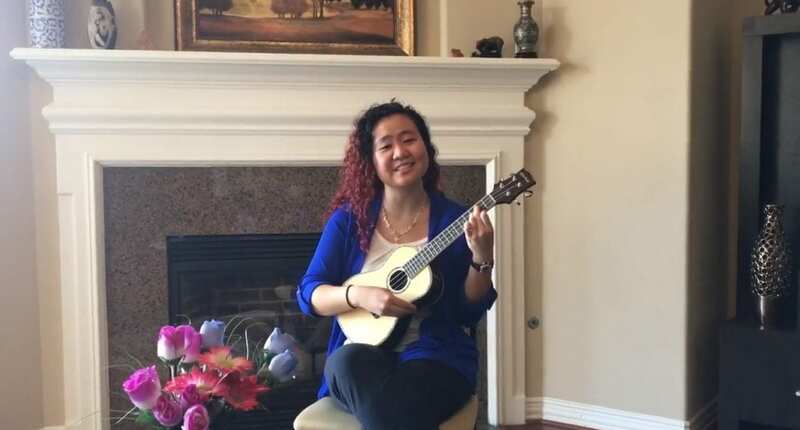 Songwriter and iMPA student Becky Zhao performs her song “You Can Account On Me” – click the image to watch her video. Becky Zhao is a third year iMPA student here at Texas McCombs. Not only is she creative, but she is also musical – she recently wrote a song about accounting and performed it in Professor Sara Toynbee‘s Concepts class. “Becky’s song was so clever at incorporating accounting terms, particularly those that we have spent a lot of time discussing in class this semester. It was so great to see her express her creativity and show that accountants are good at more than just balancing balance sheets! Her classmates and I really enjoyed the song and appreciated all the puns that she was able to insert into the lyrics. My particular favorite line is ‘my information’s a faithful representation of audit I can be.’ It was a great moment in the semester that the whole class will remember for a while – thanks for sharing, Becky!” said Professor Toynbee. With the excellent feedback she received from her peers and teachers, we’d like to share it with you! Watch Becky’s video here and share it with your friends.